You’ve gotten your first bad online review – welcome to the dark side of social media. Online reviews and ratings systems are some of the best (and worst) things to come along, when it comes to marketing your business. While a good review can encourage new business, a bad one can send potential customers running in the other direction, especially, if not handled properly. While there may be plenty of legitimate complaints getting discussed on social media and review sites like Yelp, there's also a seedy underbelly of competitors or disgruntled employees who may wish to tarnish your reputation. So how do you salvage the reputation of your business without coming off as confrontational or ending up in a very public conflict? 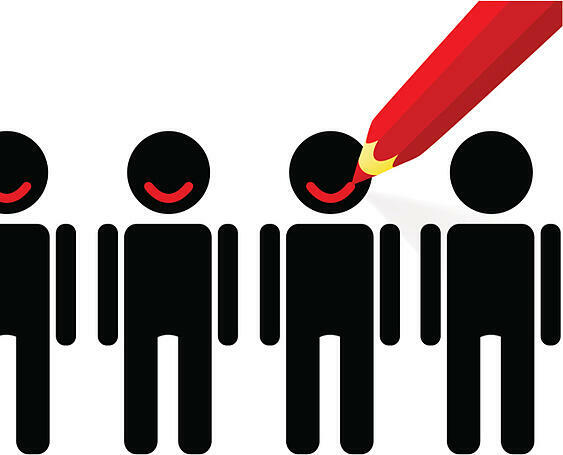 Treat all complaints as if they are credible and coming from an unsatisfied customer that you’d like satisfy. That means being respectful and helpful and NOT resorting to mudslinging or name calling. This is the heart of online reputation management. Use of hate speech, harassment, lewdness, and other displays of bigotry. Publicizing other people's private information online. This may include photos or video showing other patrons. Contact that isn't relevant to the business. This may include rants about the businesses political beliefs. Never ignore negative feedback. Disgruntled individuals will talk louder to more people about their dissatisfaction than a satisfied customer or employee will. Social media has only magnified their voices. Try to resolve any issues immediately. Respond with an apology and then take the conversation offline. If you can, contact this person privately and complete the process of turning them into a satisfied customer. Listen and learn from their feedback. If you are able to come to a resolution, ask the individual to remove their negative review or post a new satisfied or resolved review (this is even better because it shows you care.) Always post an update where their negative comments appeared. If they are unreasonable and refuse your offers to resolve the issue online or off, don’t despair – their unwillingness for resolution will show through to other customers. If you’re unable to reach the customer, post an update (after a reasonable response time has past) explaining that you tried to contact this customer but were unable to. Reiterate any applicable policies and offer your desire to help, so that they and other potential clients can see it. Always be polite in your transactions, it’s not just about that one person but about the behavior, image and precedent you set for your brand. Make sure you are consistent with your brand and that you conduct yourself with the utmost in professionalism. When happy customers or employees sing your praises to you, make it easy for them by including links to your social profiles in your email signature. Keep in mind, however that asking for reviews outright doesn't comply with TOS. The reality is, that the occasional bad review is to be expected – and the general public knows this (you can’t please all the people all the time.) Having a collection of great reviews, along with publicly posted complaint responses, helps to offset any negative feedback and illustrate how conscientious your business truly is.